Now’s a prime time to select your favorite hard or soft jerkbait to fool sluggish bass into biting during the early season. Here’s how to use these lures effectively! Early-spring jerkbait fishing is some of the most exciting sport of the year. Though early-season bass aren’t likely to chase down fast-moving baits, it’s not always necessary to drag jigs slowly along the bottom to elicit strikes. Bass — both largemouth and smallmouth — will, in fact, move to take bait, a suspending jerkbait in particular. And the hits, well, often they defy the frigid water temperatures, as irritated bass will often slam these hovering baits with line-stretching enthusiasm. The key is having the knowledge of when and how to work hard jerkbaits. 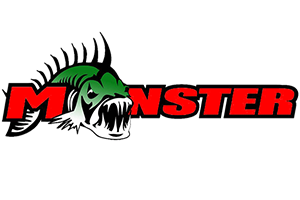 The category of hard jerkbaits is well represented by the major lure makers, and includes Rapala’s Husky Jerk and X-Rap, Bomber’s Suspending Pro Long A, Smithwick’s line of suspending Rogues and Lucky Craft’s Pointers. Mega Bass produces a line of high-quality suspending jerkbaits. My personal favorite is XCalibur’s Xs4 (clown pattern), a 4-inch stick bait that suspends perfectly and features extremely sharp hooks.Whatever your personal choice in suspending jerkbaits, the chief factor is that it maintains its position when on the pause, neither sinking nor floating. The longer days of early spring instigates bass to move shallow to feed. On lakes, this typically occurs over extensive flats, especially ones that are protected from harsh, water-cooling winds. At times, bass will suspend high in the water column, over deeper water, in the band of warming surface water. Though riding high, these fish still tend to relate to the bottom structure below. Unlike floating jerkbaits, a suspending jerkbait’s feature of hanging in the water column provides a strong trigger for any bass to strike, particularly in cold water. Moving erratically from the force of the angler’s twitch, the bait then suspends helplessly on the pause. It’s a powerful blend of attraction and trigger, one that’s completely under the control of the human on the other end of the line. For it’s the angler who determines the strength of the jerk and the length of the pause, which in the case of early-spring outings leans strongly toward moderate twitches and lengthy pauses. Early-spring jerkbait patterns rely on a bass’s ability to see the lure; thus, fairly clear water conditions are called for. The water need not be gin clear, but if the visibility is less than 2 feet, it’s best to rely on other approaches. Here’s a specific look at lake and river jerkbait fishing for smallmouth and largemouth bass during the early spring. The first step is narrowing down the search of potential areas. Look at the lake as a whole, and ask yourself: What areas of this lake will warm up the quickest? Usually these will be protected areas along the northern portion of a lake, places that see a much more direct sun angle at this time of year. Expansive areas of shallow flats and points are important, too, as such places experience the initial spring kickoff of the awakening food chain. Weather patterns are also a consideration. Sunny days are often best, though jerkbaits will produce on cloudy days following a day or two of sunny, warming weather. The sun’s presence also allows you to better see submerged objects like logs, rocks and emerging weeds. These are objects that are likely to provide cover for bass foraging on a flat.Since they cover the water quicker than a jig-type offering, suspending jerkbaits make good search lures. Granted, you don’t work them with the same machine-gun approach you might three months from now, but in the grand scheme of things, they are efficient tools given the time of year.You need to match the running depth of your jerkbait to the depth of the area you are fishing. Short-lipped baits will dive to a depth of around 3 feet, while longer-billed deep divers get down to at least 5 feet, depending on the specific model. I’ve found the most productive flats to be ones in the 3- to 5-foot range, so typically I opt for a shallow-running lure. You want the lure to run at a depth a bit higher than where you expect the fish to be holding, so they can look up, see the lure’s action, and react to it. Given the “spread out” nature of an extensive feeding flat, it’s common to contact “a fish here, a fish there,” as you work it. If there is a slight breeze blowing across the flat, I like to begin on the upwind end, allowing the breeze to silently push the boat over the structure. Use the trolling motor to make the necessary corrections to keep the course on line. If no wind is present, use the trolling motor to move along the flat. In strong winds that push the boat too fast, working into the wind allows you to work the water without blowing over it too quickly. Lengthy casts are the norm for this type of fishing. After the lure’s splashdown, engage the reel and wind the bait a few feet to get it down to its running depth. Then give it a short jerk, followed by a pause. Often the pause is the most important component of the deal, as this is when most strikes occur. Bass will hit a jerkbait 30 seconds after you kill it, and while pausing it this long is on the extreme end of things, it’s important not to twitch it too soon. Give the bass an opportunity to eye up the lure and react to it. Continue the twitch-pause retrieve back to the boat, paying close attention to the cadence, so you can repeat it once the bass have told you what they like.Small features on a flat will hold bass. Good polarized sunglasses allow you to see rocks, newly forming weed patches, submerged logs, all high-percentage places fish use as cover. Specifically target these areas as you move along. As with lakes, river bass (usually smallmouths) begin feeding long before most folks realize it. Jerkbaits figure in strongly in early spring patterns.In general, when the water jumps up into the low 40s, river smallmouth bass will move to the edges of the deep, slow wintering holes that held them over the past few months. These “edge” bass will take a variety of presentations, jerkbaits included.But the best river jerkbait bite occurs in a very specific location: shallow, rocky flats located immediately downriver of a current deflecting obstruction like a sand/gravel/rock bar. Typically, rock bars are formed where feeder streams enter the main river. Over time, material is washed into the river during high flows in the tributaries. The resulting rock bar pushes the main flow of the river outward, leaving a pocket of quiet, rocky water tucked in behind the structure. Smallmouth bass, often the biggest ones in the river, tend to set up shop in such places. And suspending jerkbaits are one of the best ways of taking them. Approach the spot from upriver, allowing the boat to go with the flow as it slides around the rock bar. As soon as the boat clears the tip of the bar, use the trolling motor to slide in behind the current edge. Fire a cast up next to the bank, and then begin a slow, twitch-pause retrieve. Most fish will be up close to the bank. As such, it’s rarely necessary to fish the bait all the way back to the boat; so when you are down to the last 20 feet or so, wind in and cast again, working the boat slowly down the area of quiet water. The area of productive water will vary from spot to spot. Some places are small, and can be fished with only a couple of dozen casts. Other areas will stretch for 50 to 75 yards, and can produce a several 3-pound-plus fish. 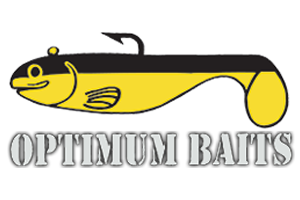 Both spinning and baitcasting tackle can be used to fish suspending jerkbaits. I prefer a baitcasting reel and a 6 1/2-foot-long jerkbait rod. Either 8- or 10-pound-test fluorocarbon line completes the outfit. I like to impart jerks by snapping the rod tip downward, and setting the hook by rotating my hips to the right, sweeping the rod along in the process. Be sure to consult your state’s laws regarding early-spring bass fishing. Many states have restricted seasons with special regulations regarding creel limits and minimum length limits. The use of barbless hooks may be required. And regardless of what you are allowed to keep, wise anglers religiously practice catch-and-release at this time of year when bigger fish are more vulnerable.